We are excited to announce our head coaches & management staff for the 2019-2020 season. Mark Goble will be the head coach for the Major Midget Team, Nate Fleming will be the head coach for the Minor Midget Team, and Adam Nugent-Hopkins will be the head coach for the Major Bantam Team. Phil Alalouf will be transitioning from Major Midget Head Coach into the role of the General Manager and Coach Mentor. This will be Phil’s 6th season with the Greater Vancouver Canadians and returning for her 2nd season will be Justine Cheng as the Assistant General Manager. We will now be working on filling the supporting roles of Assistant Coaches, Trainers, Equipment Manager, Videographer, and Broadcaster. Mark Goble has over 30 years of coaching experience which includes the Canadian Olympic Hockey Program, the WHL, the BCHL, and the PJHL. He has scouted for the Regina Pats and Tri City Americans and was fortunate enough to be part of the 2003 coaching staff to be crowned the ‘World Champions’ of the Quebec International Pee Wee Tournament, as well as the Air Canada Cup Midget Champions with the Calgary Buffaloes in 1989. Mark is looking forward to coaching the Major Midget Team for the upcoming season. Nate Fleming played junior hockey for the Spruce Grove Saints, where he won an AJHL Championship, was named to the All-Star team, and named AJHL Most Dedicated Player. From there he went on to play at UBC (CIS) where he was a 2-year Assistant Captain with the Thunderbirds earning a Kinesiology degree. Following university he played a season overseas in the EIHL, came back and helped as an Assistant Coach at UBC while completing his Education degree, before finishing his playing career with the Manchester Storm in the EIHL. Last season he was the Head Coach for the Vancouver Thunderbirds Bantam A1 and has also worked for Factory Hockey and Leslie Global Sports, among others, delivering on and off-ice training for players from minor hockey all the way up to the pros. Nate is a High School Physical Education teacher in the Surrey School District and has a passion for teaching and coaching youth, and is looking forward to joining the Greater Vancouver Canadians for the upcoming season. Adam, the older brother of Ryan Nugent-Hopkins of the Edmonton Oilers, has been involved in the sport of hockey since the age of four in multiple facets of the game. Adam has played at the U sports level, coached players from PeeWee to NHL level on the ice and strength performance training both the in-season and off season. Adam has a passion for working with athletes of all levels and is committed to teaching them good habits and skills both on and off the ice. Adam’s believes in developing the best hockey players possible, but more importantly helping players become the best people possible to help them succeed in all aspect of life. 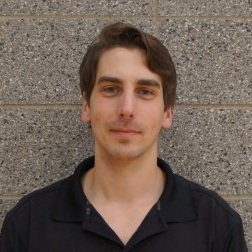 Adam is extremely excited to be joining the GVC zone as head coach of the Bantam Major team.